When tragedy dominates world affairs, it's easy to despair at the path some 'leaders' have led us down. But if you're worried about losing faith in humankind, despair not: we have the antidote. 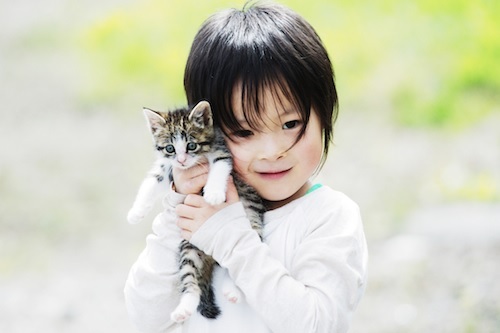 Rich or poor; young or old; Australian, Chinese or Brazilian — we looked the world over and found one universal trait that truly unites us all: kindness. When we published this on Facebook, within days it was reproduced on numerous pages, and watched over 10 million times, uniting kind-hearted people across the world! Do take a moment and find some tissues, because there's more where that came from. Courageous deeds caught on film can sweep across the world in an instant (share this on facebook for a demonstration), but it's acts of kindness, that don't get any airtime, that change the world every day. Read on, be gentle, and be inspired. 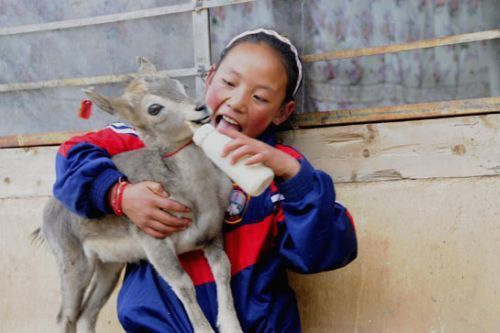 When a young Himalayan blue sheep, known as a Bharal, was left stranded from his flock in the Nangqen county of Tibet, an 11-year-old girl vowed to protect him — feeding him and keeping him company, until he grew old enough to rejoin his companions. 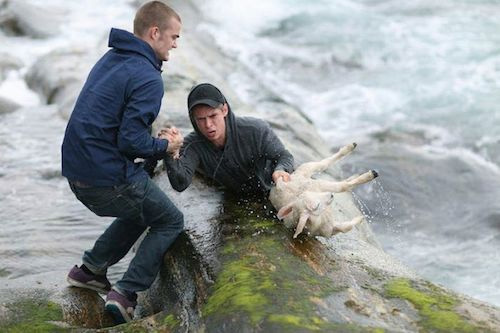 These teenage boys risked their lives to rescue a lamb from drowning in the freezing waters off the coast of Giske, Norway. They formed a human chain to reach down a slippery rock-face to grasp the stricken lamb — and hauled her to safety. Since 2009 a former chef, Li Zongwen, has single-handedly adopted 140 stray dogs who had been abandoned on the streets of Wuhan, China. 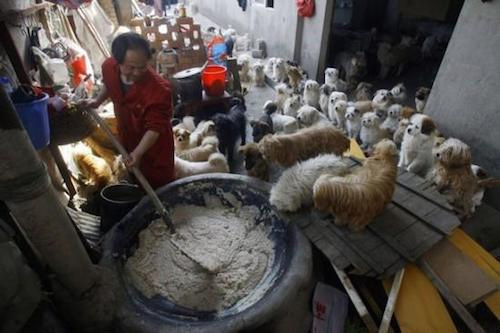 Skilled at catering for large numbers, Mr Zongwen prepares a massive amount of freshly cooked dog food every day — using a giant pan and a garden shovel! 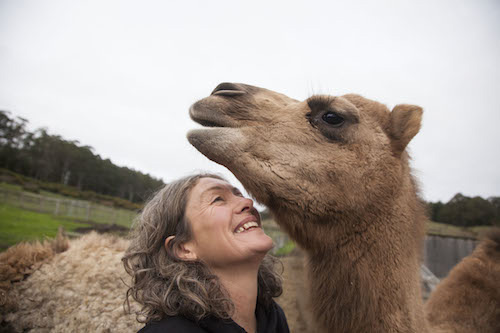 Albert and Einstein, as they have now been named (camels are terrifically clever), are happy now, but life wasn't always so cheery for them... Born in the wild, they were rounded up and torn from their mothers before they were even a year old. Destined to be sold at auction to an uncertain fate — Emma and the kind people at Brightside Farm Sanctuary stepped in and whisked them away to safety. All they have to worry about now is smiling for the camera. 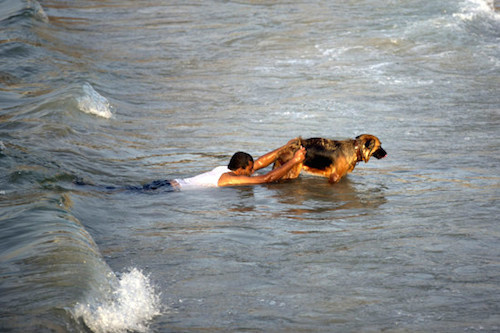 It's not your average stroll along the beach when Hassan Kasskin takes his dogs walking in Gaza. Horrified by the death toll of shipwreck victims off the coast, Mr Kasskin has given his two brave German Shepherds lifeguard lessons — training them to swim out into the choppy Mediterranean waters to rescue drowning people. A pig born without hind legs has become a celebrity in the Henan Province of China. 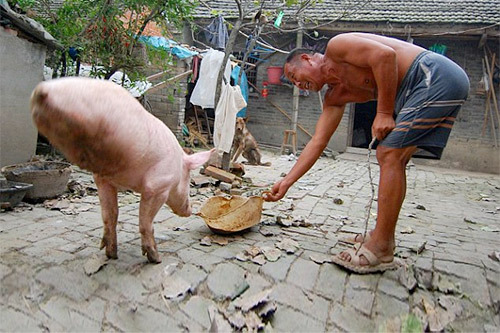 Known as Zhu Jianqiang — which means 'Strong-Willed Pig' — her carer, Wang Xihai, taught her to walk on her front legs, despite calls from his wife to get rid of the special little piglet. 'She proved to us that no matter what form life is it should continue to live on,' Mr Xihai said. 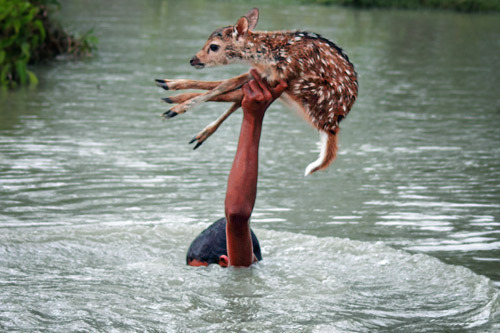 A boy in Bangladesh risked his life when he jumped into a flood-swollen river to save a fawn from drowning. The boy, Belal, disappeared and onlookers feared the worst — until he resurfaced, holding the tiny fawn safe above his head. Belal's heroism would have gone unnoticed if an international wildlife photographer hadn't been on hand to document the scene! Every day, Animals Australia supporters like you are making the world a collectively kinder place. If today you chose the meat-free meal; or lent your voice to an animal who has none; or cuddled your rescued companion animal; or shared this inspiring message with a friend — your act of kindness may never be acknowledged or repaid — but it will mean the world — to someone.